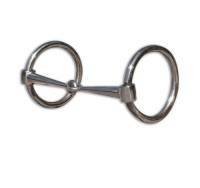 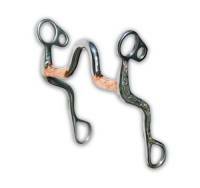 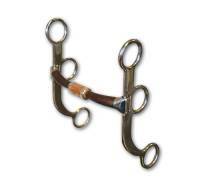 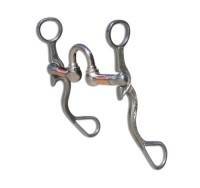 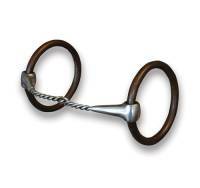 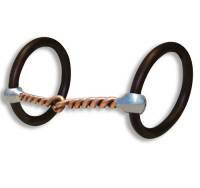 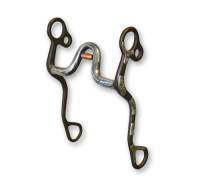 Description: A perfect spur for ladies and junior riders. 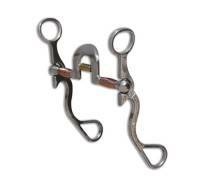 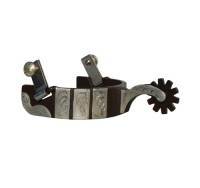 This spur is of the same quality as Bob's other spurs, in just the right size, and with just the right amount of flair. 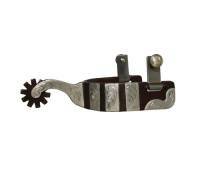 1" band, 2 1/4" shank, 10 point rowel. 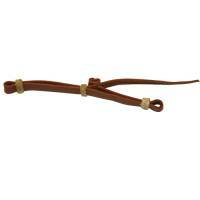 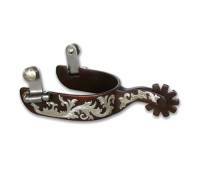 Description: Antique brown with engraved silver, these versatile spurs are great for any western discipline. 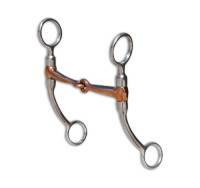 1" band, 2 1/2" shank, 10 point rowel. 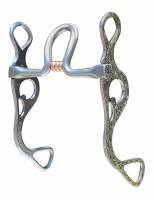 Description: Embellished for a more showy look, this hackamore has a good feel on a horse and the curb chain hangers are angled out to prevent pinching. 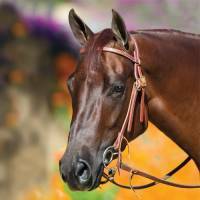 It is outstanding for everyone, from trail rider to professional horseman. 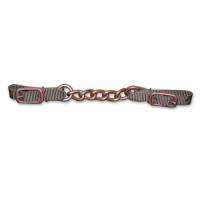 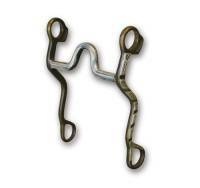 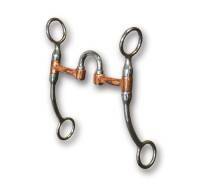 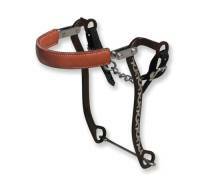 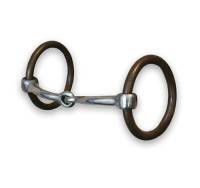 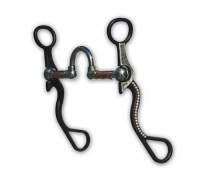 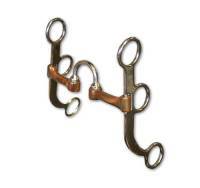 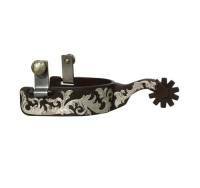 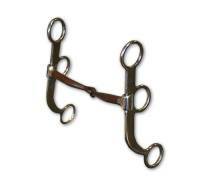 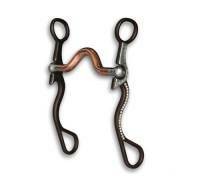 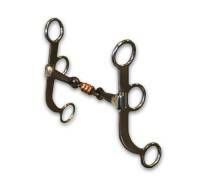 Cheek: 8 1/2"
Description: Antique brown with engraved silver, these versatile spurs are great for any western discipline. 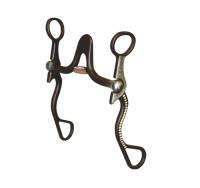 1" band, 2 1/4" shank, 10 point rowel. 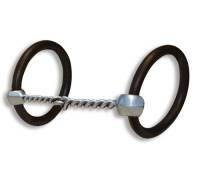 Description: Black rubber bit guards by Professional's Choice. 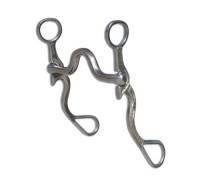 Comes in pairs.